Mehn! That Thursday’s dinner was something else! It was all Patrick and I could talk about all through the drive home. That Vou woman is a real amazon! Whaaat! Thankfully, after the initially uncomfortable start, conversation had flowed freely, and we got to see Vou’s crazy sense of humour. We laughed till our sides ached, as she told one funny Diana story after the other. We got to know more about their early days in Jos, and their latter years in London. She even managed to joke about the events surrounding their parents’ death. By the end of the evening, not only did we know Diana better, we had all fallen hopelessly in love with Vou. She is in town for another week, and I happily committed to having lunch with the sisters on Sunday…just us girls! I can’t wait. Well, that one is tomorrow. Today I had a major thing to strike off my list. Seeing Ejiro. I didn’t realize just how much I was dreading it, until I woke up this morning. It was the very first thing that flashed through my mind, and I buried my head deep in my pillow. What on earth was I expected to tell her?! Somehow, I managed to get myself dressed and even managed to convince Patrick to drive me to her house in Yaba. Ringing the doorbell, I prayed it would be quick and painless. What I didn’t expect was for her to be the one to open the door herself! “Faith!!! 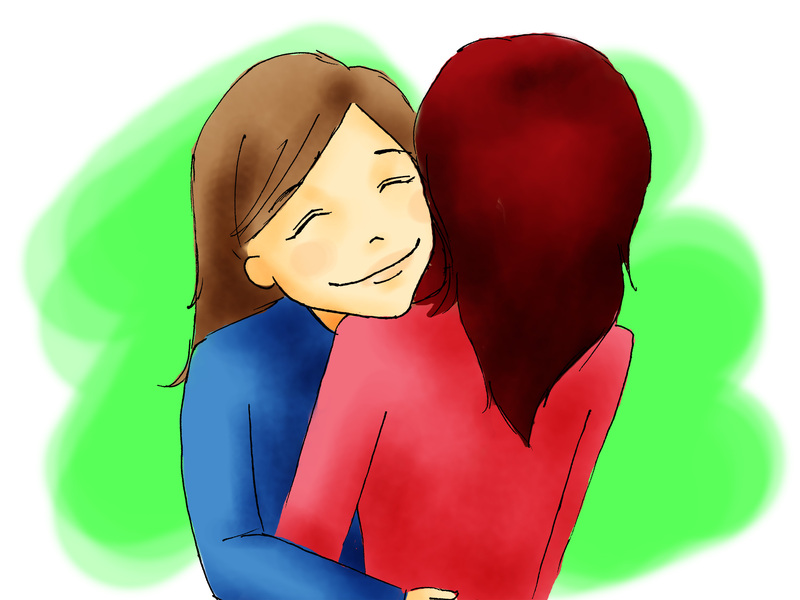 !” she squealed, as she wrapped me in a bear hug. I managed to return the embrace, before handing her the gifts I’d got her…a jewelry set I bought when we were away (Ejiro loves her jewelry big and gaudy, and when I saw the set, I immediately thought of her), and two boxes of her favourite cupcakes. I looked at her, puzzled, as she jumped and giggled over her gifts. She genuinely seemed happy. And then, the waterworks had started. My tears had come almost out of nowhere. She hugged me as I cried, and that just made me cry even harder. Anyone who saw us would have thought I was the one who’d had the miscarriage. After I’d calmed down, she told me how hard the first few days had been. How the pain had been so raw that she had woken up in tears, and fallen asleep in tears. How the combination of physical pain and emotional anguish had been too much for her to bear. “I almost considered suicide” she confessed “I didn’t think I could bear seeing another day. I asked myself what was worth living for. I cursed God. I cursed my body. I cursed the baby for not staying. I cursed Napoleon for getting me pregnant in the first place…or rather ninth place!” she actually had the presence of mind to laugh at her own joke. “Then what changed?” I asked, barely finding my voice. “I almost didn’t come.” I heard myself blurting out. We embraced, and another crying session ensued. I didn’t expect to be such an emotional wreck. “Will you be trying again?” I asked, when I eventually regrouped. I nodded. It was almost similar to what Diana had told me. Let go and let God. Something I was still struggling to master. I laughed, and decided to entertain her with the Toun story, and even threw in the Phillip/Diana/Azuka saga for good measure, with the cherry on top being dinner from two nights ago, featuring Vou, the Voltron Sister! By the time Patrick came to pick me up, we were laughing and giggling so hard, nobody would have believed any of us had been a teary mess an hour before. Father Lord, I thank You for healing my friend’s broken heart! Please bless her with her own rainbow babies very very soon! Previous articleHow to identify Fertility Scammers! You are so correct Judith! Amen!